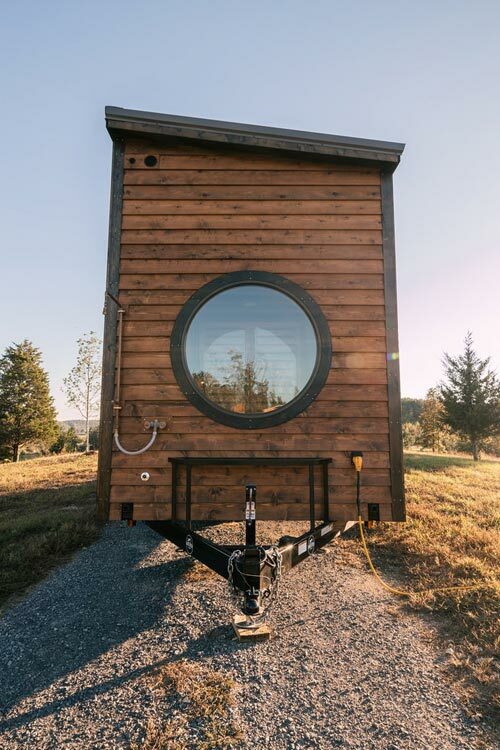 Designed to take full advantage of the owners’ panoramic views of their Vermont property, the The Silhouette by Wind River Tiny Homes has two large fixed windows in the living room and an oversized round window in the bathroom. 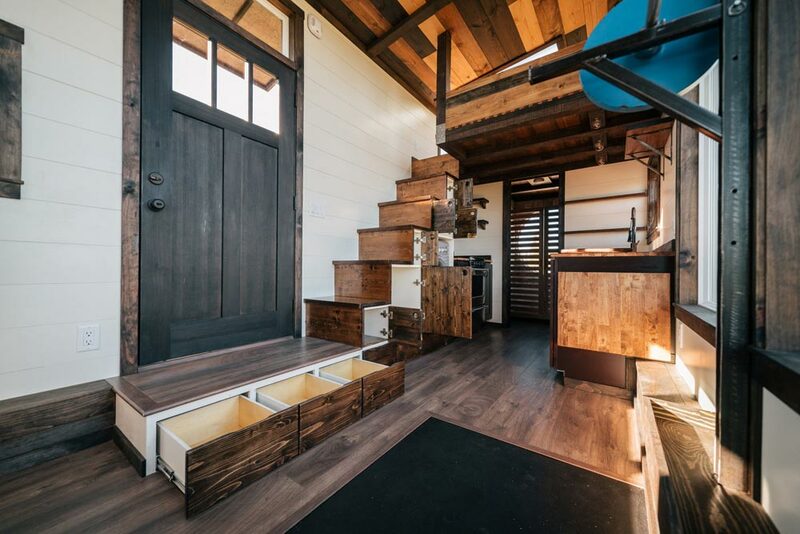 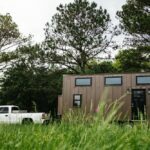 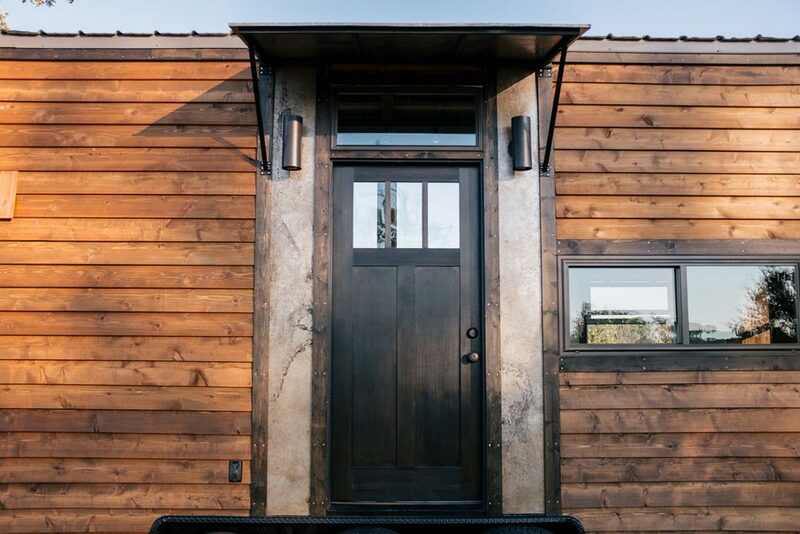 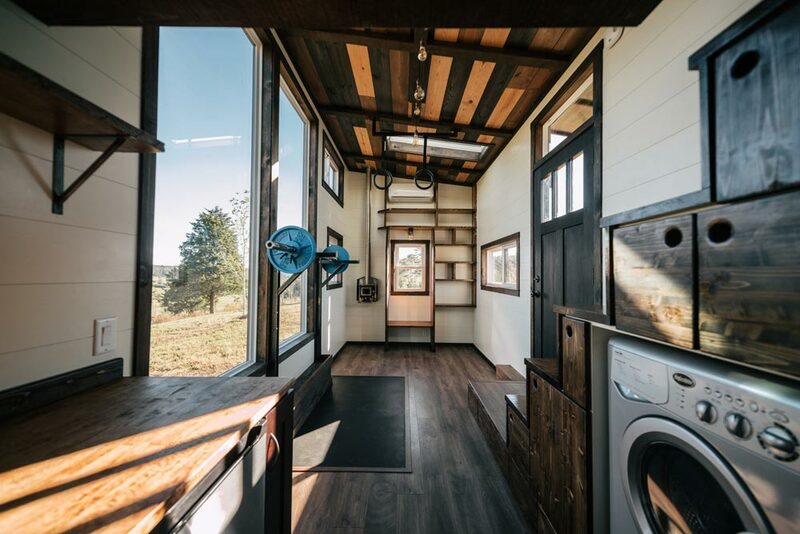 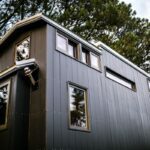 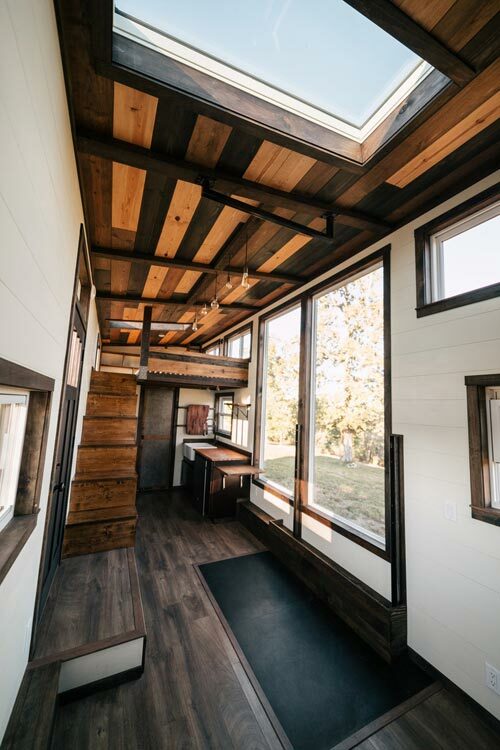 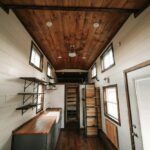 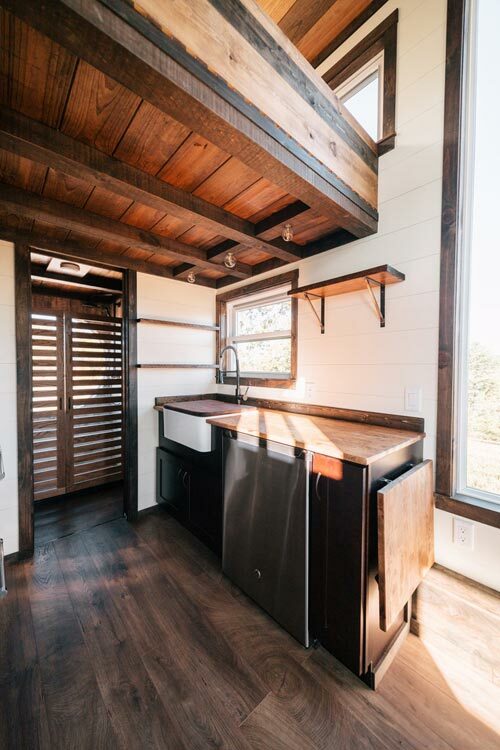 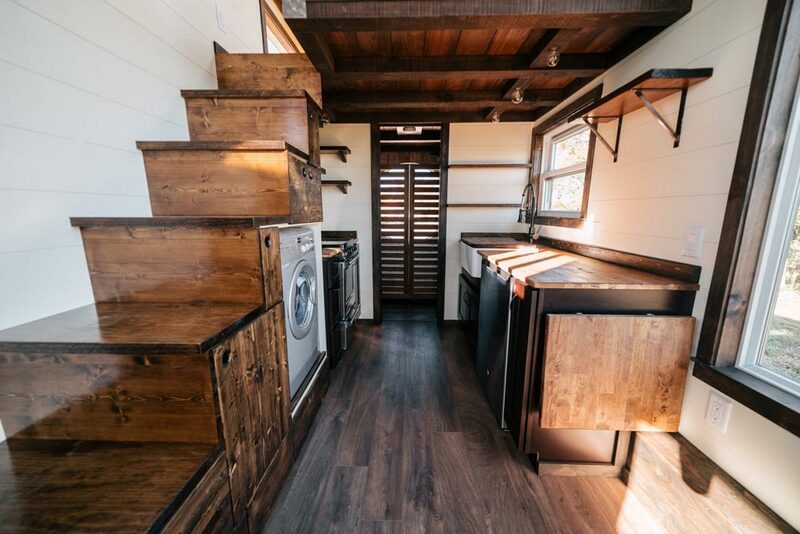 The 26-foot tiny house blends rustic charm with industrial chic and uses high-end finishes throughout. 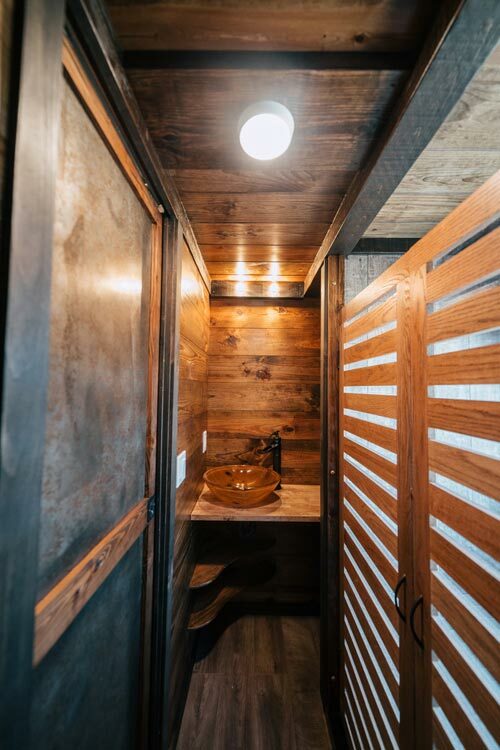 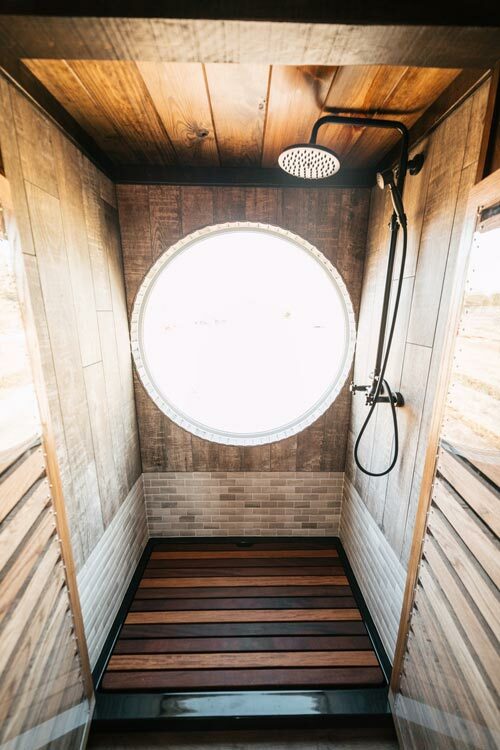 The home’s exterior combines cedar and patina steel clad siding, and an exterior copper swivel shower makes it easy to rinse off outside. 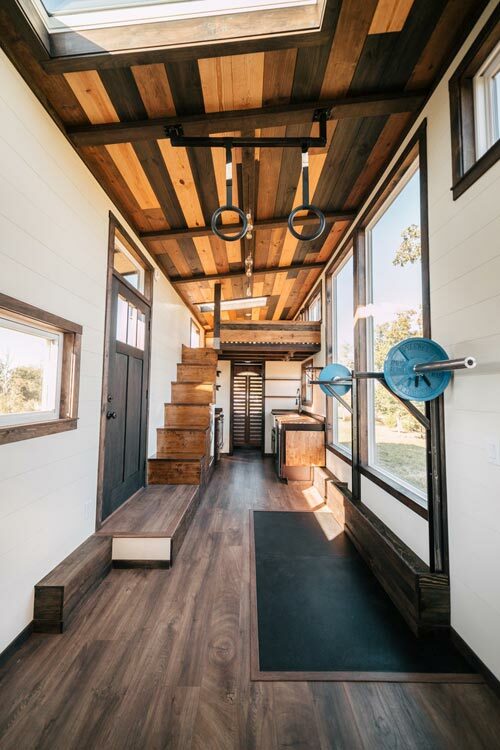 Inside the Silhouette is a custom gym including an olympic squat/bench rack with integrated exercise floor and gymnastics rings hanging from the ceiling. 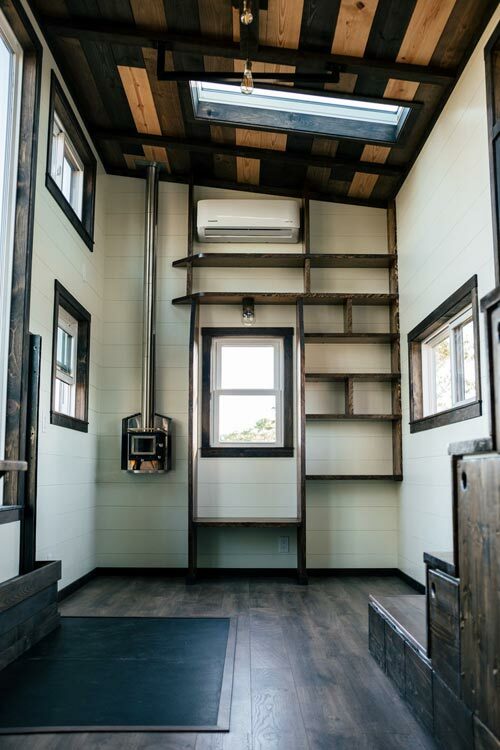 A reading nook by the Cubic Mini wood stove provides a cozy place read your favorite book. 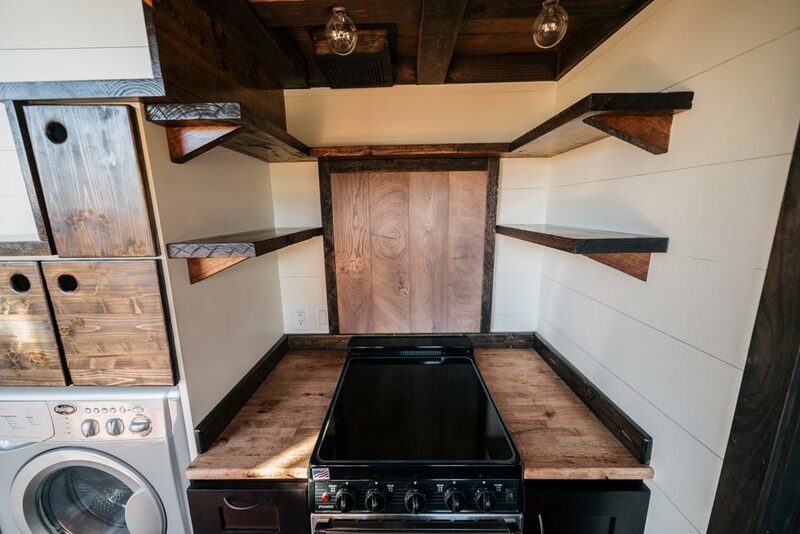 The kitchen features a fold down table, shaker style cabinets, open kitchen shelving, under cabinet fridge, electric range, farmhouse sink, and butcher block counters. 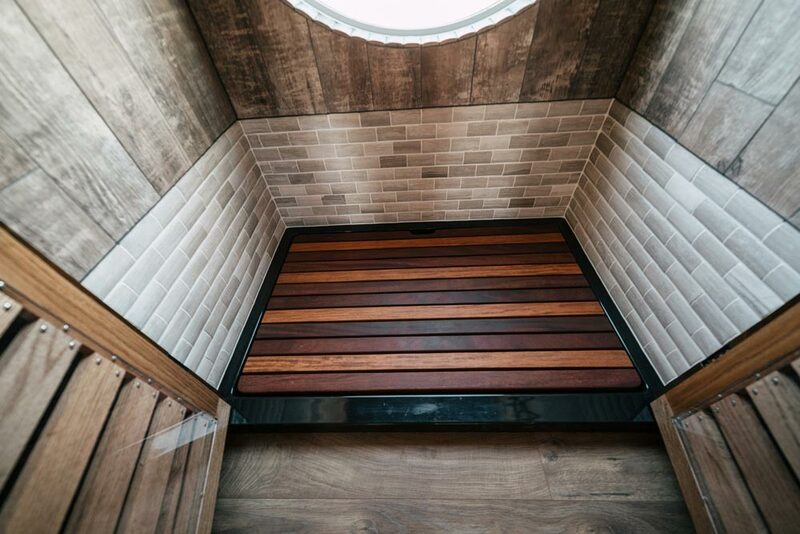 A patina steel pocket door leads into the bathroom where you’ll find a gorgeous oversized shower with cumaru wood shower deck insert, limestone tile, and faux wood tile. 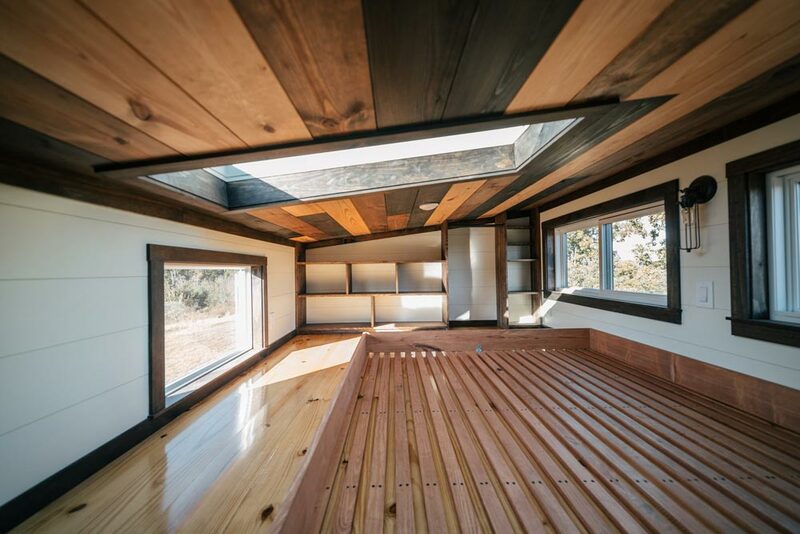 Above the kitchen and bathroom is the bedroom loft with skylight and queen size bed frame. 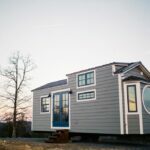 The Silhouette costs $89,500 as pictured. 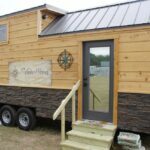 For more information you can contact Wind River Tiny Homes. 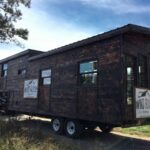 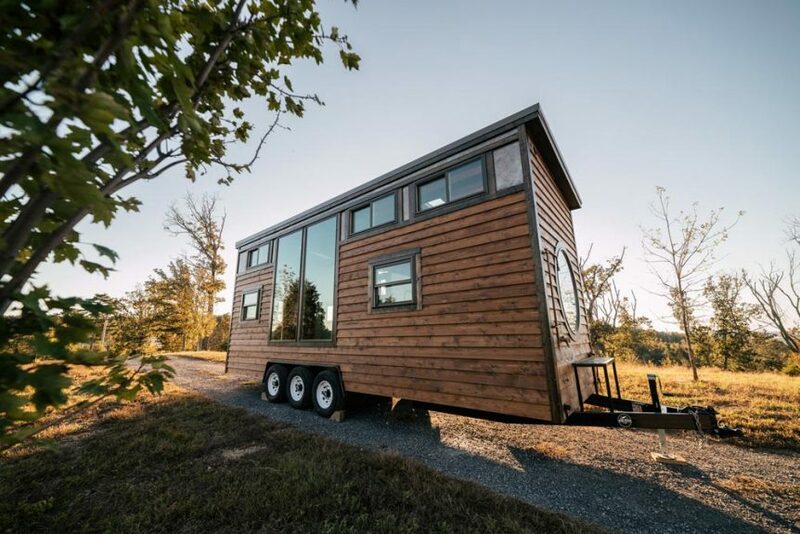 Also available from Wind River Tiny Homes: Noah, Acadia, Ironclad, Monocle, Phoenix, Nomad’s Nest, Wind River Bungalow, Triton, Mayflower, Rook, Chimera.